How could I not grab this one for a snack? I picked up container and it's very light. 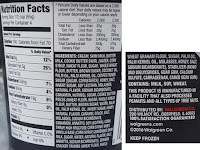 I check the back and sure enough this one is a mere 65g per serving. This is a good time to point out that this is part of their regular line up and not part of their super premium line up (which has died a very quiet death I'm afraid). I take my first few bites and it tastes like pumpkin ice cream. There's no other good way to describe it. There's a bit of cinnamon/graham kick that is somehow fusing with the cookie butter to give off a pumpkin vibe, or maybe a PSL vibe. It's not terrible but it's not what I wanted either. I aim for the cookie butter bits but can't seem to convince myself that I really taste cookie butter anywhere in this pint... there, I finally got a bit with a good amount of swirl to it apparently. Why can't every bite taste like that? The texture is pretty terrible on this pint. It's soft yet gritty. I guess I'm glad it's not gummy but it's way too gritty. To clarify, I don't think it's the graham component making it gritty, it just tastes like really gritty (freezer burned) ice cream. And now I've made half the pint (just 300 calories) disappear with ease. Wow this stuff is so very soft and not terribly filling. At least the thoughts of pumpkin slowly faded as I ate, though they still linger. I know I only paid $3.29 for this pint but the lightest makes it feel about half that. It was about as filling as a hoodsie cup. 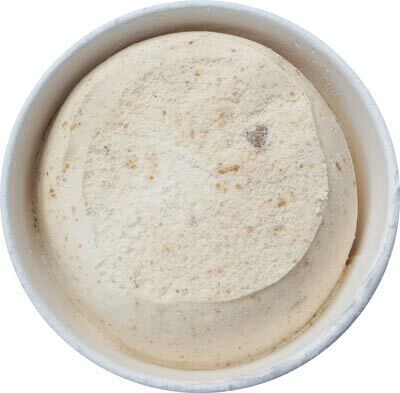 On Second Scoop: And I'm back to thinking this is a pumpkin ice cream again. Why is cookie butter such a hard thing to master? All you have to do is throw a lump of cookie butter on vanilla ice cream and you have cookie butter ice cream. Easy. Peazy. Why can a big (American) company not do this right? Shame! I actually really enjoyed Walmart's Sam's Choice Cookie Butter ice cream (RIP this and many other stores brand premiums) so would have been nice to have another option. :( Purple Cow also did a Cookie Butter which I'm PRETTY sure I liked but I don't remember for sure. I actually just picked up a pint of Pierre's cookie butter fudge chunk yesterday, but I haven't tried it yet. Have you had it? I don't really know what to expect, I've never had anything from Pierre's before. Also, I liked Ben and Jerry's Spectacular Speculoos, but I'm afraid I'm in the minority. @Unknown: do you mean the purple cow brand you find at Meijer? @Nick: I liked the Ben & Jerry's version as well! As for Pierre's, they arent in New England but on occasion they have sent us samples. I can't imagine that it's not a decent pint you have there. Check back and let us all know how it goes! 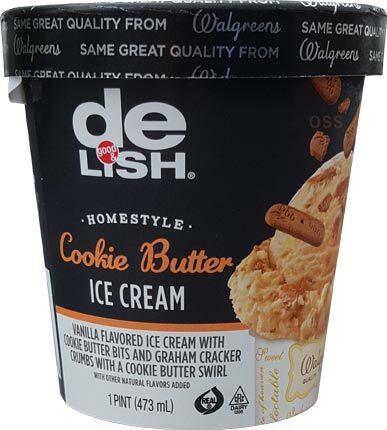 If you are looking for a tasty cookie butter ice cream, that delivers on that Biscoff cookie flavor, look no further than your local Trader Joes! 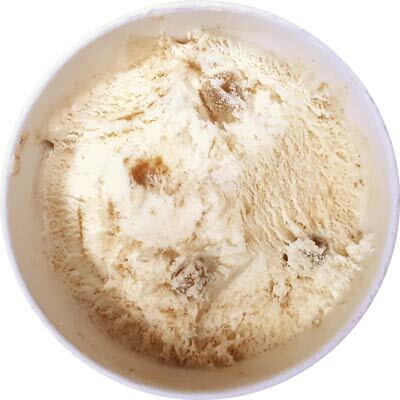 It has a great flavor intensity and the chunks of cookie butter swirled throughout have a substantial texture and pleasant grit. I randomly found this in a Walgreens in San Antonio (while traveling for work), but have never seen it anywhere since. I think you had a bad pint. It wasn't spectacular, but it was good. The ice cream was not dry and gritty. The flavor, while mellow, was fairly accurate, and the speculoos cookie bits were actually quite good. I think Sam's Choice blew it when they cut the carton size in half, but only lowered the price by about 50 cents. The "good value" disappeared, and I guess people stopped buying it. It is a shame, as several of the flavors were actually quite good. @Anon2: did you have it recently or awhile ago as I was positive how new it was (usually the copyright date is for the year before it's release). sam's choice ice cream was an experiment that failed. it happens alot. most likely people weren't really buying it in the first place. Spot on with their change to pints and the measly fiddy cent reduction in price, at least that's basically what happened with me. Well, one they got rid of their Coffee & Donuts flavor (with the x-rated sugar puddle at the top) altogether, but then when the ly rolled out the pints shortly after, I was just sort of through. I mean, the cookie butter flavor sounded good but I just never bothered. I'd see them and would just be like "meh, I'll just grab a B&Js"
Thats what happens when Walmart deviates from their patented business model and attempts to increase their margins on a given product. @aol: keep in mind marketing too. after the quarts weren't a huge hit, they could switch to a pint which can be more of an impulse purchase, so they may have tried to go after that. That move would also get the quart size away from their great value 1.5qt size offerings. target's premium pints failed too. even the walgreens premium stuff is gone now. new products get a few years and then stuff cycles on to the next round. I tried this flavor in November - so not too long ago. 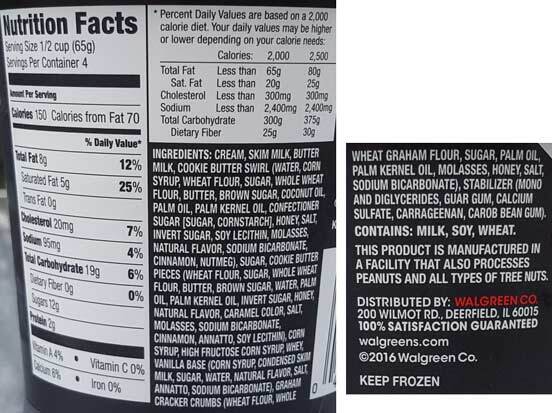 Have you reviewed other walgreens flavors(don't see them in the tab), were they better? I just saw this in my local Walgreens for the first time today. I've been looking for it for months. I tried Pierre's version, and it's pretty good! The texture left a little to be desired, but the flavor of the ice cream was great, and the cookie butter swirl was thick and awesome. I didn't like it quite as much as Spectacular Speculoos, but it was definitely worth the pick-up.